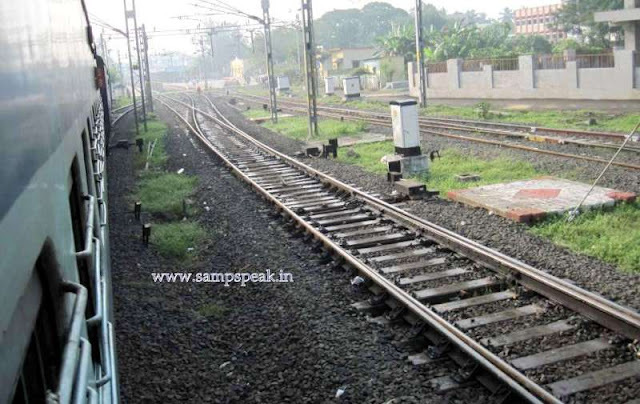 "Sampath Speaking" - the thoughts of an Insurer from Thiruvallikkeni: Railway Budget ~ shortest named Station ~ fully unreserved train and more ..
Railway Budget ~ shortest named Station ~ fully unreserved train and more ..
Have you heard of William Acworth ? ~ and his relevance to India ? – this is one service which has changed rapidly in tune with times, yet people keep complaining. Remember those days of standing in long winding queues, getting closer to the counter, to realise that ticket is not available ! [which itself was a novel measure of booking ‘any counter – any ticket’] to the comfort of booking from our mobiles and desktops and not having to carry any paper ticket ! Easily a service that every Indian would have used many a times - Indian Railways is the largest rail network in Asia and the world’s second largest. Daily it carries over 23 million passengers (that's about the entire population of Australia!). Do you know that there are 4 emergency exit windows in every passenger train coach ? There are stations and maddening crowds. The New Delhi Railway Station has the world’s largest Route Relay Interlocking System. Ib River is a tributary of Mahanadi river originating near Pandrapet at an elevation of 762 metres (2,500 ft). It passes through Raigarh district and Jashpur district of Chhattisgarh and Jharsuguda and Sundargarh District of Odisha and finally meets Mahanadi at Hirakud Dam in the state. There is a Railway station named after this river and ‘Ib’ station which opened in 1900 is the shortest name ! The annual financial statement of Indian Railways, popularly Rail Budget is presented every year by the Minister of Railways, representing the Ministry of Railways, in the parliament. Following the recommendation of the 10 member-Acworth Committee in 1920-21, headed by British railway economist William Acworth, the "Acworth Report" led to reorganisation of railways, the railway finances of India were separated from the general government finances in 1924. A practise which continues in independent India to date. Ackworth wrote Railways of England in 1889 followed by Railways of Scotland. He visited the United States where he studied the statistical methods used on the railroads there, and on his return wrote his third book, Railways and the Traders (1891), which was critical of the accounting practices of the British railway companies. In 1924 he was given the task of reorganising the German railways by the Inter-Allied Reparations Commission. The heavy workload led to a deterioration in his health, and he died suddenly at his London home at The Albany, Piccadilly, aged 74, records Wikipedia !! Now getting back to the commoner aspect – many people are not in a position to plan – and for the middle class to, it is nightmare thinking of travel in an unreserved compartment, of which there would 3 or 4 in a train. To those come ‘Antyodaya’ – superfast train that will have only unreserved coaches, focussing on transporting the common man in a time-bound manner without burning a hole in his pocket. Railway Minister Suresh Prabhu has made a good balancing act as he vowed to continue with his big investment-push to turn around Railways as a major engine for India’s economic growth. 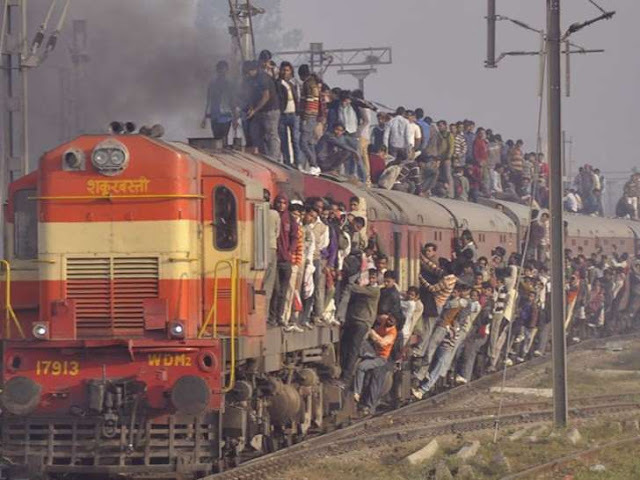 Prabhu announced several initiatives to expand railways’ reach and efficiency. These include creation of dedicated rail corridors, improving railway infrastructure and revamping the suburban railways system. ..the big Q is how these can be addressed without hike in fares ! Prabhu expects Rs 1.5 lakh crore help from LIC over next five years and going overseas with rupee bonds to raise funds. Prabhu has hinted that the freight rates will be revised. Prabhu’s budget shows the government’s intent to transform Railways as a crucial engine to economic growth and change the country as a high-growth manufacturing economy among emerging markets. In a welcome initiative, the Railway Minister wants to make Railways more passenger-friendly by promising more efficiency and customer experience. Prabhu listed out a host of initiatives in the budget such as improving the customer experience through the help of technology. “It is the people who are the soul of Indian railways," Prabhu said. Railways plans to build 17000 bio-toilets in trains and 475 in stations this year. Monetising the assets is another key area Prabhu stressed in the last budget. Prabhu spoke about creating a holding company to monetise the assets owned by railways, including the companies it own. One-time registration for availing concessions while booking tickets online, online booking of wheelchairs and Braille-enabled new coaches for the differently-abled are some of the other schemes. Also, the quota of lower berths has been increased for senior citizens and women. There are slew of other initiatives like developing freight corridors, rail auto hub in Chennai, FM radio entertainment in Railways, baby food at stations, refreshing new uniforms for Sahayaks [erstwhile coolies / porters]….and more. For those who don’t have a high opinion of Railways, specifically late-running of trains - Guwahati Thiruvananthapuram Express is the most unreliable long-distance train on the Indian Railways network. It gets delayed by 10 - 12 hours, on an average. The Superfast train traverses 3553 km halting at 48 stations running time of 64 hours 15min. In 1990s, it was scheduled to reach Rajahmundry at 18:05 & Vijayawada around 21:45 on Thursdays – on more than couple of occasions, have conveniently caught the train around 10 pm on Friday. hello, Thanks for the detail and see IRCTC features by irctc registration to book ticket and cancel, refund, PNR and arrange TATKAL tickets for traveling.